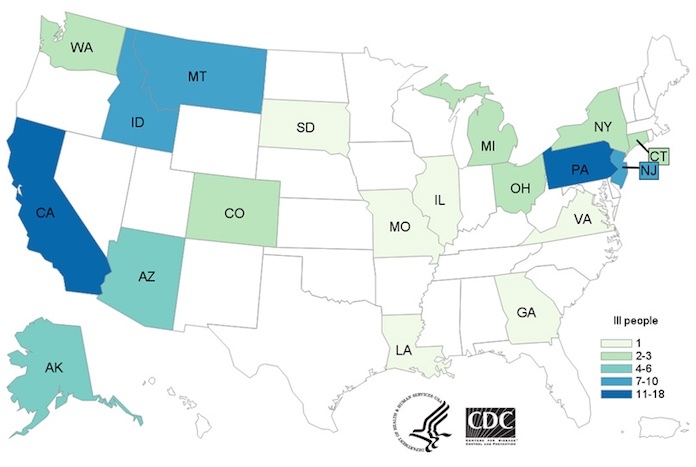 The multistate E. coli O157:H7 HUS outbreak linked to romaine lettuce has now grown to include 84 sick in 19 states. Thirty-one more people from 10 states have been added since the last update a week ago. Three more states have reported ill persons: Colorado, Georgia, and South Dakota. The most recent illness started on April 12, 2018. This outbreak will likely grow, since it takes a few weeks from the time a person begins feeling sick, to when the infection is diagnosed and reported to government officials. The information still indicates that romaine lettuce from the Yuma, Arizona growing region is the source of this outbreak. But investigators still have not identified a common grower, supplier, distributor, or brand of romaine. Of the eighty-four people sick, 42 people have been hospitalized. Nine people have developed hemolytic uremic syndrome, or HUS, which is a type of kidney failure. The case count by state in this E. coli O157:H7 HUS outbreak is: Alaska (5), Arizona (5), California (13), Colorado (2), Connecticut (2), Georgia (1), Idaho (10), Illinois (1), Louisiana (1), Michigan (2), Missouri (1), Montana (7), New Jersey (7), New York (2), Ohio (3), Pennsylvania (18), South Dakota (1), Virginia (1), and Washington (2). The patient age range is from 1 to 88 years. Officials are still interviewing patients to ask about the foods they ate before they got sick. Ninety-six percent of the 67 people interviewed said they ate romaine lettuce. That is significantly higher than a standard survey, in which 46% of people said they ate romaine lettuce the week before. Advice to consumers is to not eat or buy any romaine lettuce until you can absolutely confirm it did not come from the Yuma, Arizona growing region or until this E. coli O157:H7 HUS outbreak has been declared over. This can be a difficult task. Some food safety advocates such as Consumer Reports is advising people to avoid all romaine lettuce for now. This means do not eat whole heads, hearts of romaine, chopped romaine, and salads and salad mixes containing this leafy green. If you don’t know if the lettuce is romaine, don’t eat it. The symptoms of an E. coli O157:H7 infection include severe and painful abdominal and stomach cramps, and diarrhea that is usually watery or bloody. People usually start feeling sick a few days to a week after they eat food contaminated with this bacteria. In some people, especially young children, this infection can develop into the life-threatening complication called hemolytic uremic syndrome, or HUS. Symptoms of this complication include little urine output, easy bruising, lethargy, and pale skin. This condition is a medical emergency, and anyone with these symptoms should be taken to a doctor immediately. 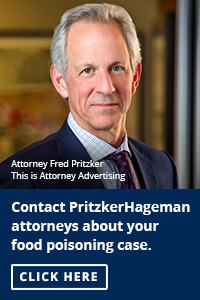 The law firm of Pritzker Hageman helps people sickened by contaminated food such as leafy greens and ground beef protect their legal rights, and get compensation and justice. 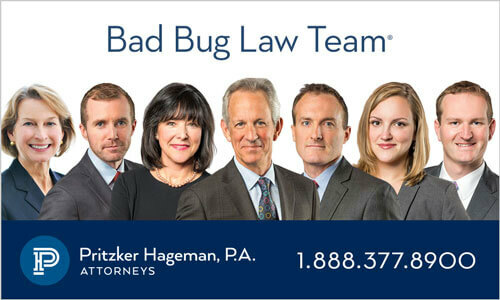 Our lawyers represent patients and the families of children sickened with bacterial infections in personal injury and wrongful death lawsuits against growers, retailers, food producers, food processors, restaurants, schools, and others. In 2016, attorney Fred Pritzker won $7.5 million for young client whose kidneys failed because of hemolytic uremic syndrome after an E. coli infection. 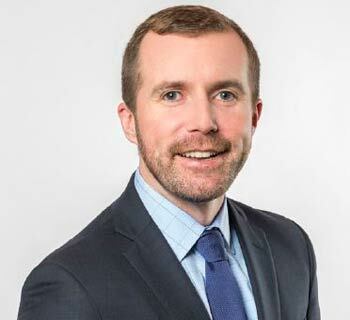 Class action lawsuits may not be appropriate for outbreak victims because the cases are very unique.